Headstone stone maker: Thomas New Arklow. In loving memory of Hester Copeland Huntingtown died 29th Feb. 1932 aged 54 years and her daughter Esther Copeland died 7th June 1936 aged 24 years. 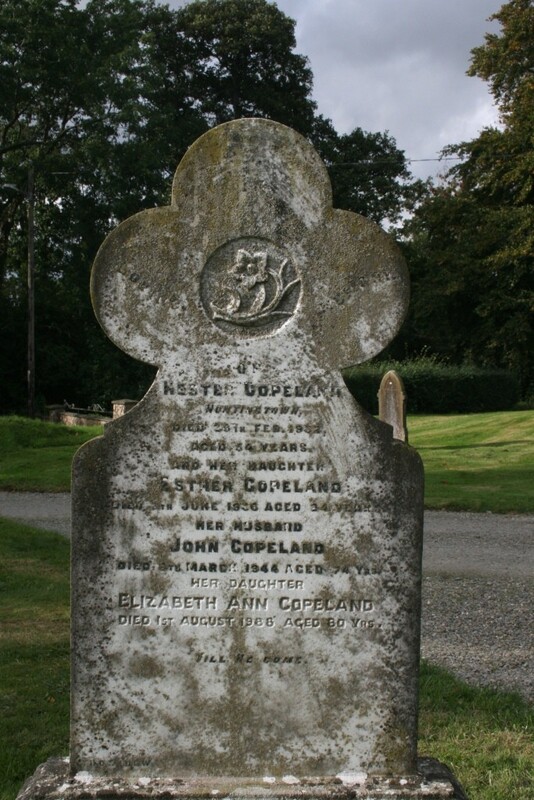 Her husband John Copeland died 8th March 1944 aged 74 yrs. 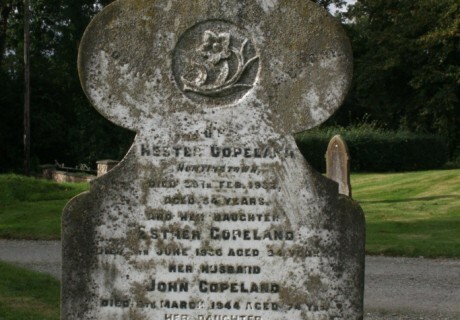 Her daughter Elizabeth Ann Copeland died 1st August 1988 aged 80 yrs.